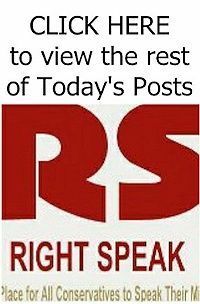 RIGHT SPEAK: DACA Should Be Overturned. A New Lawsuit Might Succeed In Doing That. DACA Should Be Overturned. A New Lawsuit Might Succeed In Doing That. A lawsuit filed Tuesday by Texas and six other states may finally result in the long-overdue termination of the DACA program, which was created without legal authority by President Obama in 2012 to allow children brought into the U.S. illegally to temporarily remain here under certain conditions. The lawsuit does not address the question of whether allowing the roughly 700,000 illegal immigrants protected from deportation under DACA is a good policy or a bad one. Instead, the suit contends correctly that President Obama exceeded his authority under law and under the Constitution to create DACA without the approval of Congress and without taking other required steps. Whatever the outcome of the suit, the ruling seems certain to be appealed and wind up in the U.S. Supreme Court. DACA stands for Deferred Action for Childhood Arrivals. President Trump announced in September that he wanted to phase out the program beginning in March, but federal judges blocked him from doing so after lawsuits were filed to keep DACA in place.